Halkbank AD Skopje in cooperation with Booking.com provides to all loyal customers additional benefits and enjoyment. Book online on Booking.com with Halkbank’s payment cards ( debit or credit) and after 60 days after your accommodation get 4% cashback of the total accommodation cost on your personal transaction account linked with the debit card. The refund amount is 4% of the total accommodation cost. The amount will be calculated according to the Central Bank foreign currency exchange rates in effect on the day of refund and paid to our customers in MKD. 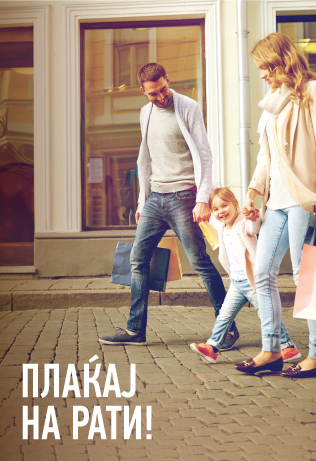 Halkbank AD Skopje and Booking.com reserve the right to make changes in campaign condition.